The Collapse Water Carrier is made of break resistant TPE and plastic. It is equipped with an easy to operate tap mechanism and a sturdy handle for transportation. 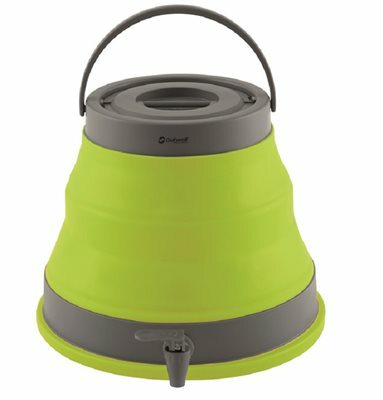 The collapsible design enables a small pack size that expands to 12 litres holding capacity. Cleaning and filling the Collapse Water Carrier is made easy with the wide quarter-turn screw lid.